After two months of program I can tell participating in GSOC is such an interesting experience. It was my first time as a mentor and I think this program is a very good opportunity to exchange points of view and find out new ways of working. Santiago, the student I worked with is a such a hard-worker. He has a lot of aspirations and he worked hard to learn and understand every single part of the application we developed and worked on: Pandroid Event Viewer . This Android app is a good tool for PandoraFMS users who have an Android smart-phone or tablet because you can keep an eye on the system through Pandora FMS whenever you want, no matter where you are. 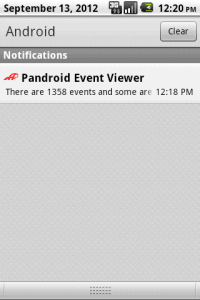 Pandroid Event Viewer asks PandoraFMS API periodically, if there’re new events . However, you don’t have to be afraid of annoying beeps , Pandroid allows you to set a filter to receive just the events you choose. Regarding to the improvements Santiago and I made in Pandora FMS Viewer during the GSOC Program, we should mention the points below. Pandroid is more stable now, the previous version sometimes crashed. You can choose between flash leds or a vibration system to be notified about the new event in Pandora. Now, you can customise the tone of your event alerts in Pandroid. You can set and store a lot of filters for periodical checks. For example: you can set a “Weekend Filter” to be notified just when a critical event happens. From the events list you can validate the events and report the incident to Pandora. 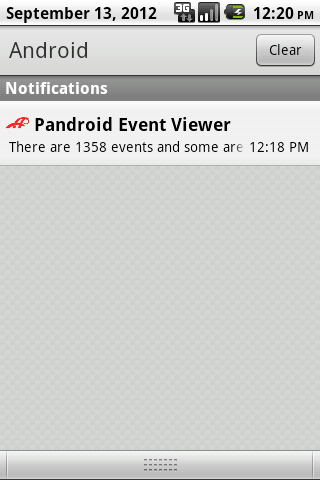 Now, Pandora FMS supports the events from the next release version, the 5 version. And more things like an easier UI to use, a new improvement that decreases the data transferred for each event, and a better and cleaner source code for developers. The screenshot of filter and the form to save this filters.